Peel and finely chop the carrot, onion and the celery, heat the extra virgin olive oil and the knob of butter in a casserole pan on a medium heat, add chopped vegetables cook for 5/10 minutes, or until softened, stirring occasionally. Then add the bacon and after 2 minutes add the minced pork and beef and brown the meat, breaking up any lumps with the a fork. Repeat with the rest of the mince and stir often. Pour in the wine and when the alcohol has evaporated add the milk. Add salt and pepper. Cook gently for 10 minutes, pour in the passata and the tomato purée. Boil your liquid, then reduce heat to a simmer. Cover the pan. Cook long, for at least 2 hours, stir occasionally. 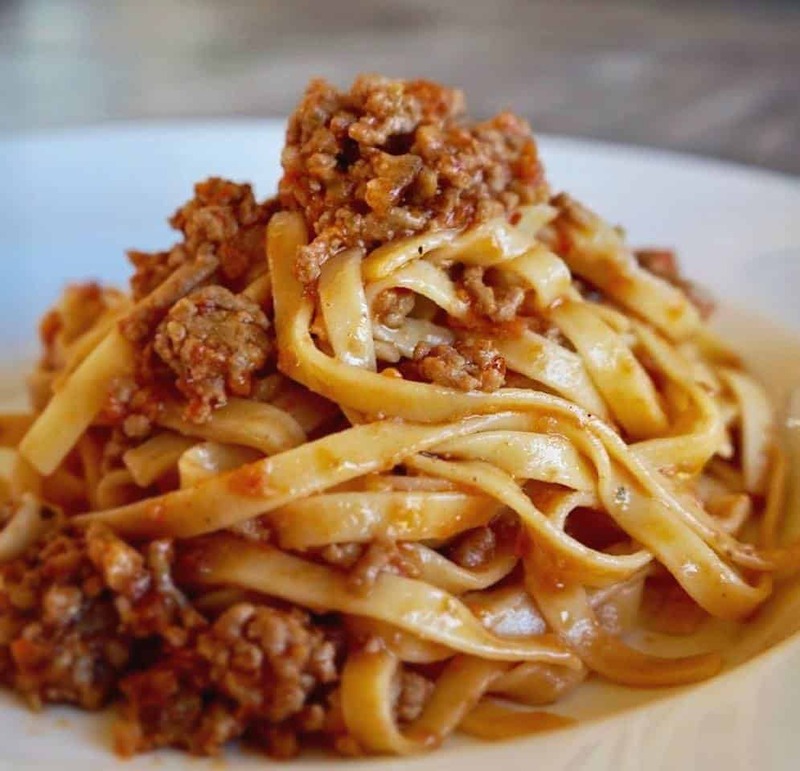 This Bolognese sauce is great with spaghetti, tagliatelle, gnocchi or lasagne. ENJOY!!!!!! !